Ever since Ms. Lee can remember, she has always dreamed of becoming a teacher. From a young age, there was something so invigorating and exciting about the idea of molding and shaping young minds. Leaving her home in Fremont, Ms. Lee moved to the University of California, Los Angeles, where she graduated with a Bachelor of Arts in History and a minor in Education. After completing her degree, she continued her studies at San Jose State University and was awarded her Multiple Subject Teaching Credential. Enthusiastic about formally beginning her teaching career, Ms. Lee accepted a position at Challenger School where she taught bright and talented elementary students. Teaching since 2011, her passion and love for students has only grown and it is with eagerness that she begins each day with the joy of imparting knowledge to her students. She is known at her school site for the energy she brings to curriculum and instruction. Her students are often sharing with others how much they enjoy learning from Ms. Lee because she creates a comfortable and engaging environment where students are free to question, explore, and share their thoughts openly with each other. 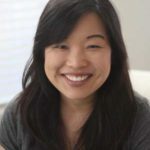 Most recently, she decided accept a position at the middle school level where her passion for Grammar has given her students an opportunity to thrive in connecting grammar to composition, literature, and spelling/vocabulary. Through fun review games, in-depth discussions, and other creative strategies, Ms. Lee seeks to equip her students with the skills necessary to think and write with clarity and precision. In her free time, Ms. Lee enjoys reading, biking, baking, and eating tasty food with her friends. She is extremely excited to be joining the teaching faculty at Mill Creek Academy and is ready to spread her love of grammar and writing to the talented students at the Academy.